Since its inception in 1986 the now famous Carlsbad 5000 has built its reputation on world and U.S. road 5K records. To date there have been 16 world records and 8 U.S. marks set on this ocean-side layout. 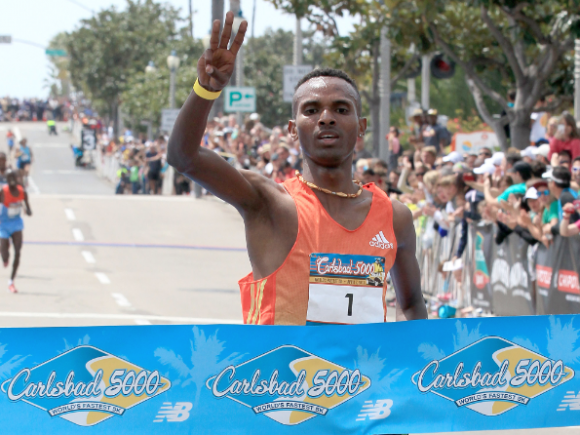 But while Ethiopia’s Dejen Gebremeskel won his third straight Carlsbad 5000 men’s title yesterday, his winning time of 13:20 was the slowest since countryman Terefe Maregu beat a young Mo Farah, 13:34 to 13:35, in 2008.